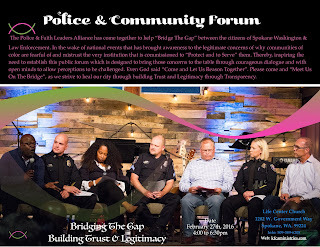 Please join us at the Police & Community Forum this Saturday, February 27, at 4 pm: “Bridging the Gap: Building Trust and Legitimacy” (see flyer below). Many courageous conversations took place at the last forum, and the survey results showed that people thought it was a worthwhile event. 82% of participants agreed with the question: Did this event further our goal of building trust? 92% of participants agreed with the question: Do you feel this event gives the community a chance to be heard? We hope to build on the success with future forums, working toward building bridges and relationships through dialogue. 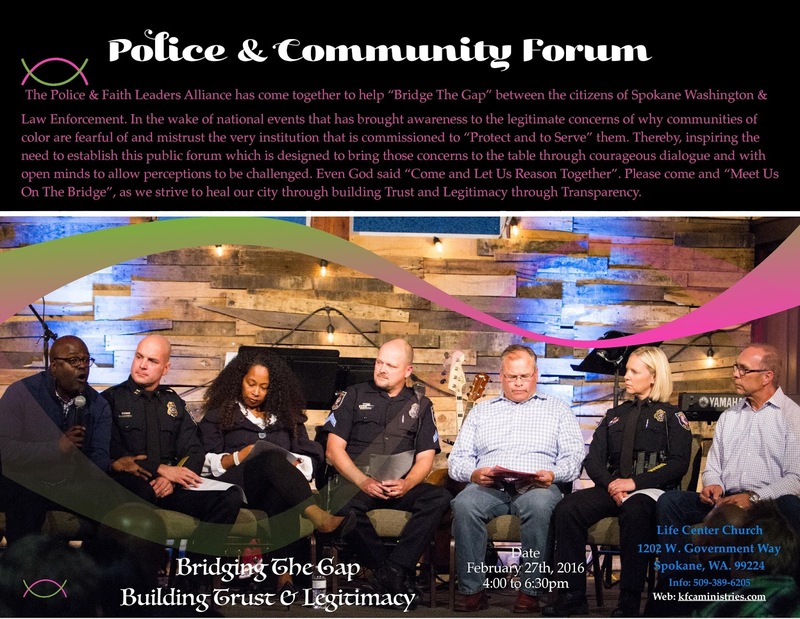 This month’s forum is at Life Center Church, 1202 W. Government Way, Spokane WA 99224. For more information, please contact Pastor Shon Davis at 509-389-6205.